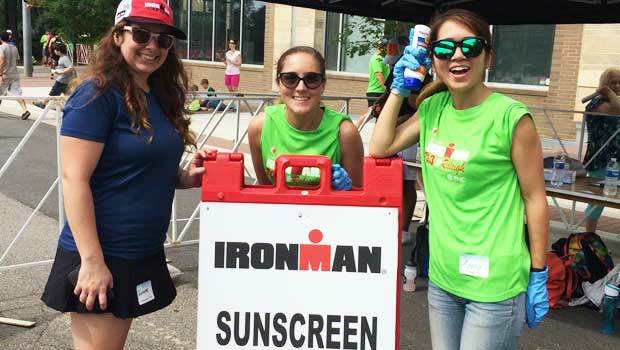 On Sunday, June 5, 2016, au pairs from the Raleigh Cluster of InterExchange Au Pair USA volunteered for the IronMan Raleigh 70.3 race. 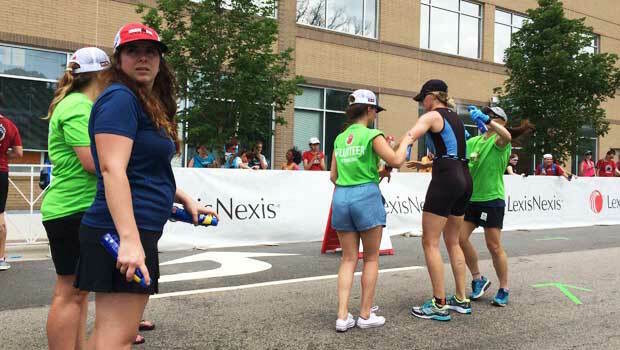 2200 athletes competed in the triathlon that included a 1.2 mile swim in Jordan Lake, a 56 mile bike ride through the countryside between Jordan Lake and downtown Raleigh, and a 13.1 mile run through downtown Raleigh. 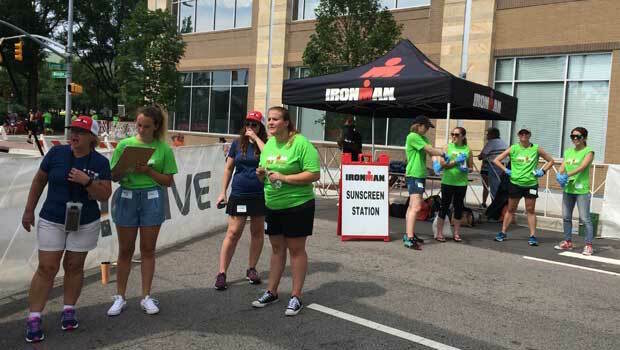 The Raleigh Cluster volunteered to apply sunscreen to the athletes if they wanted it as they left Transition 2, which is where the athletes transitioned from the bike ride to the half-marathon run. They also helped with recording the athlete’s times as they crossed the transition line as a backup written record to complement the electronic time record for their competition order. It was fast-paced and fun watching the athletes and cheering them on. "It was fast-paced and fun watching the athletes and cheering them on." 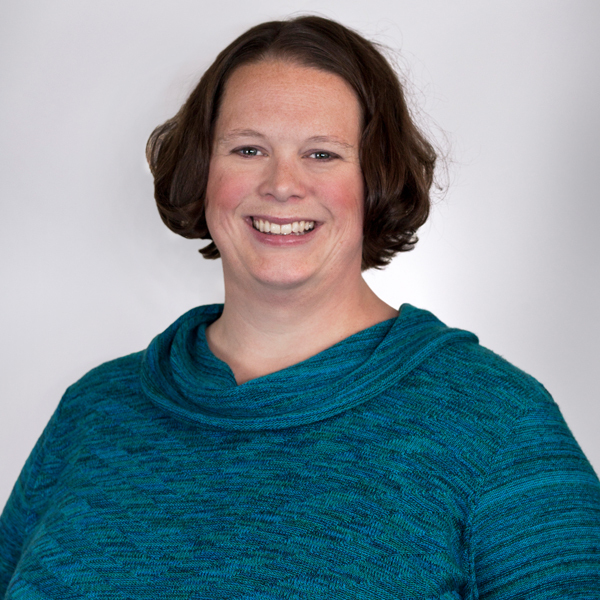 Roxanne Delport, an au pair from South Africa, suggested the volunteer opportunity to the Raleigh Cluster because of connections her host family had to the race. She volunteered for it last year and had such fun she thought all the au pairs would enjoy it. She served as Co-Captain for the group this year. 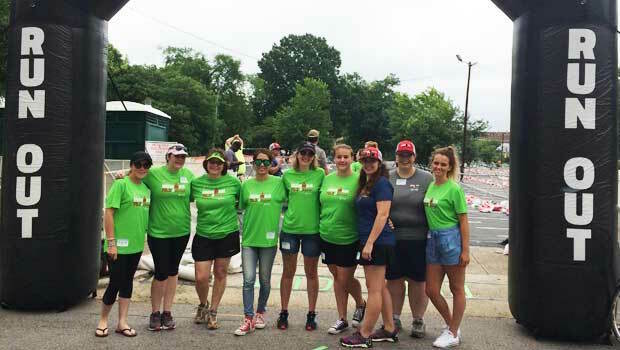 The six au pairs and Local Coordinator Suzanne Miller spent six hours at the race enjoying the beautiful, warm June weather in downtown Raleigh. 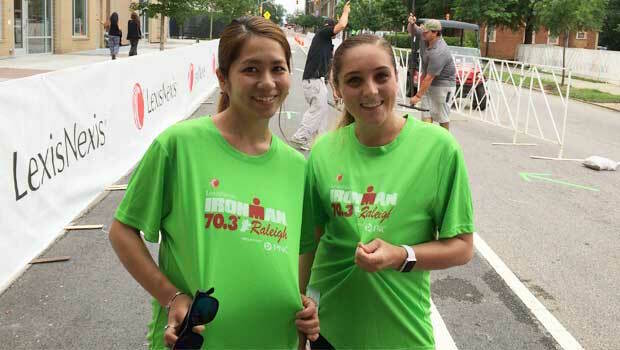 They came from Japan, England, Germany, France, Mexico, and South Africa, and worked with other community volunteers to help make the IronMan Raleigh 70.3 race a huge success. "The six au pairs... came from Japan, England, Germany, France, Mexico, and South Africa." You can also see more photos online by searching #IM703Raleigh.